Real babies have moist eyelids, nostrils and inner ears. Now your reborn baby can too! Often times babies have moist areas such as eyelids, nostrils and inner ears. 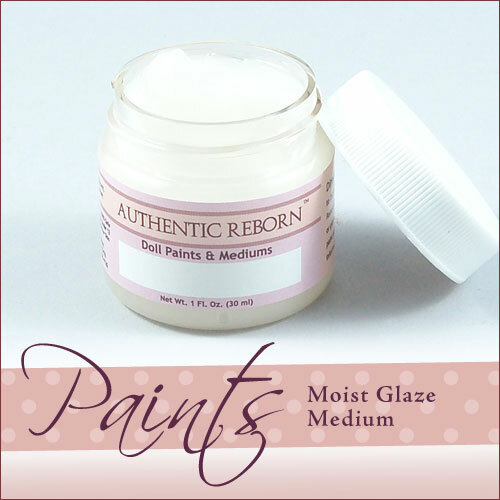 Now you can recreate this look on your reborn baby with Authentic Reborn brand Moist Glaze Medium. No thinner is needed, simply apply right out of the jar. Bake all Authentic Reborn paints at 265° Fahrenheit or 130° Celsius. Suggested bake time is 8 minutes. For most accurate curing use our oven thermometer.